How is Fantasy Football and Strategy the Same Game? 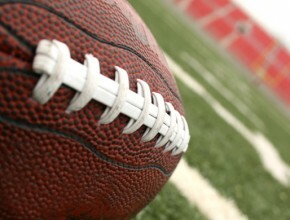 Fantasy Football and Strategic Planning: what do they really have in common? As it turns out, running and managing your fantasy football team has several distinct similarities to running and managing your organization’s strategy. Just like the best fantasy football players, the best leaders follow the strategy they create. It all starts with creating a strategy and roadmap plays to your strengths and knowledge. Straying from your strategy puts up an L on your scorecards. You’ve got to draft a team that can play to your strengths and knowledge. Each member of your team needs to have the skillset to pull their weight and contribute points to your strategic win. Put together a team that won’t leave you dragging any dead weight. Great leaders know who they’re up against and are always looking for ways to edge out the competition. Just like in a fantasy matchup, you need to think objectively about the moving pieces of your team and strategy to make sure you can put up enough points to defeat the competition. You wouldn’t just play the same lineup every week. Your lineup and team depends on who’s performing and contributing to your team on a weekly basis. The same cadence to accountability should be held to your strategic planning teammates. Going for the win, as a strategy leader and fantasy team manager, relies on your ability to leverage your strategy as a roadmap to success. Playing to your strengths, keeping an objective view, and holding your team accountable for performance are sure ways to reach your goal; whether it be bragging rights with your friends or seeing your organization reach its strategic goals. Want to learn more about the end-to-end strategic planning process or build a strategic plan in six weeks? OnStrategy will be hosting six-week online Strategic Planning Workshops beginning in October to help you design an actionable 2016 strategic plan fast while creating alignment around strategic priorities and inspiring accountability for performance.